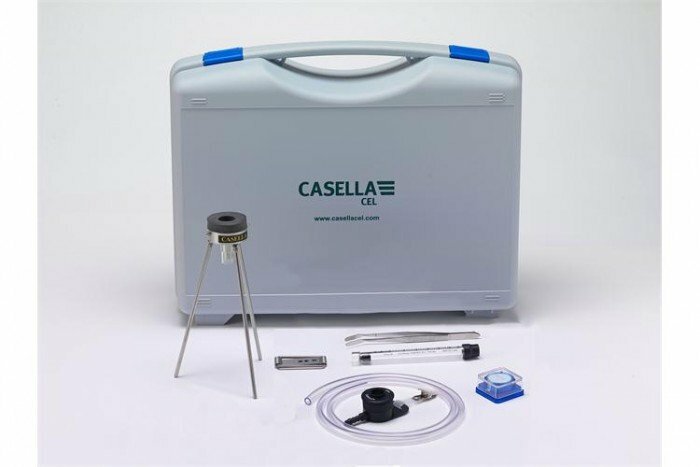 The Tuff Sampling Starter Kit from Casella contains everything you need for the use of the personal air sampling pump. Please note the starter kit DOES NOT include the TUFF pump, the charging cradle or the power supply unit. The kit contains a plastic carrying case with an accessories box, a 0.3 to 3 l/m flow meter, inhalable head, and inhalable cassette (1off) and also filters tweezers. The monitor is robust and reliable and is ideal for use in harsh environments. The unit is IP54 rated and features a rubber, moulded case which allows excellent operation. The charging system of the TUFF pump is one of the main features of using this product. The cradle uses a visual indication system which alerts the user to the progress of the charge (red for in progress, green for complete). It also uses trickle charging which means the high-capacity battery should always be a full capacity.